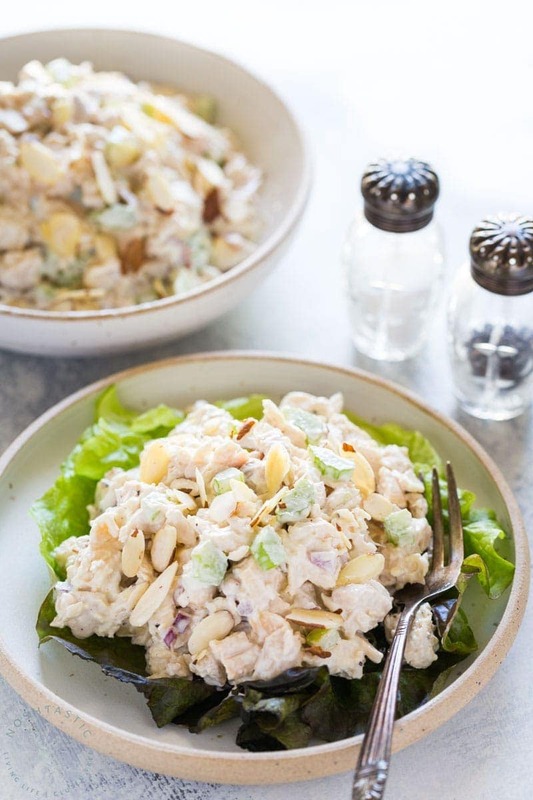 Low Carb Chicken Salad is a healthy spin on my traditional Southern Chicken Salad, but with a few tweaks to reduce the carbs. 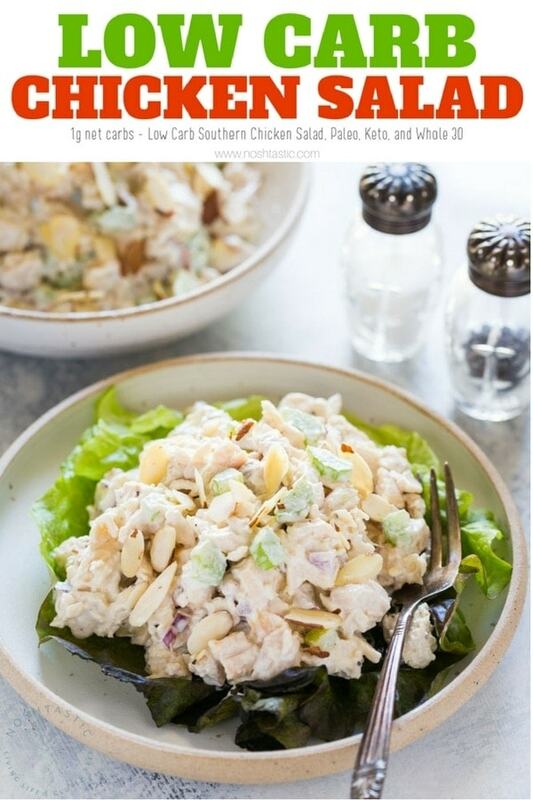 I used a Paleo Mayonnaise to make my low carb chicken salad as it has 0g carbs which makes it a perfect choice for this recipe. While there is a little red onion in it to add some flavor, the carb count tops out at only 2g per serving, or 1g net carbs if you subtract the dietary fiber. Use gluten free rotisserie chicken, the flavor is really nice! Chop the celery and red onion really small, you don’t want large chunks in this salad. I used a Paleo mayonnaise as it’s got 0g carbs, most mayonnaise brands contains added sugar. Cutting Board – This is very similar to my set of cutting boards, and they are dishwasher proof. Sharp Knife – a sharp knife is a must in any kitchen and perfect for this recipe. Mixing bowls – I have mixing bowls like this that are stackable and take up very little space. 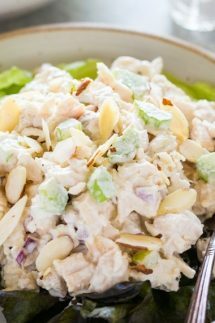 Easy Low Carb Chicken Salad you don't want to miss! 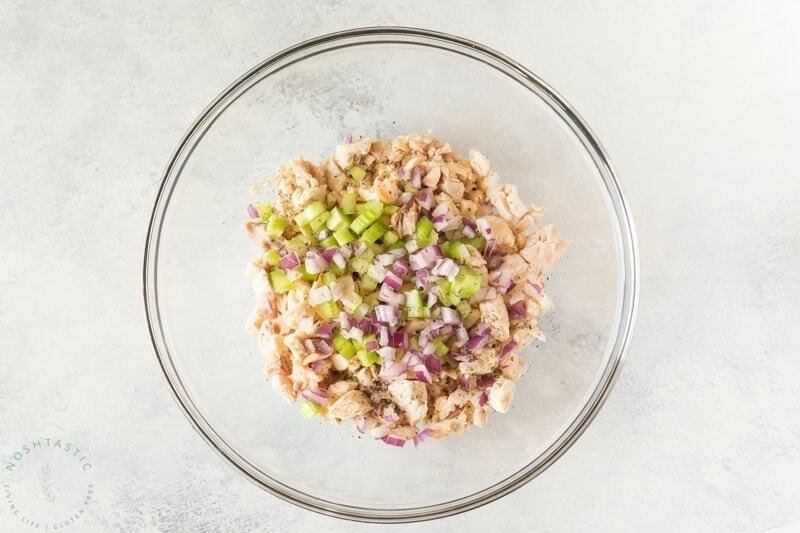 Cut the cooked chicken breast into pieces, and then finely chop the red onion and celery. Add them to a bowl along with the paleo mayonnaise, black pepper, almond and lemon juice, mix well. 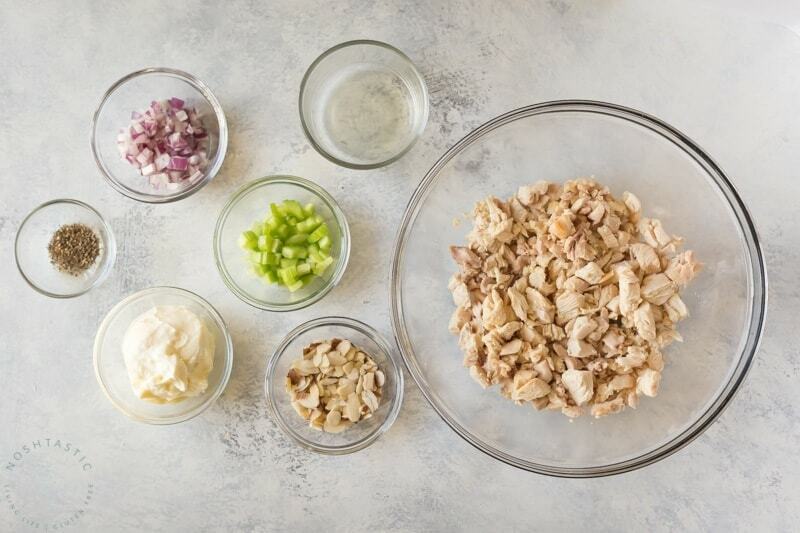 Taste your low carb chicken salad and adjust the salt and pepper seasoning if needed.